Here you will find information on using the IncidentSmart tools. We also talk about best practices for fire department training, pre-incident planning, and post-incident analysis. Protected Links are a new feature that allow you to share your private IncidentSmart reports with those who may not have an IncidentSmart account or who need quick access without signing in. This feature fills the gap between sharing reports with your IncidentSmart contacts and making your report public to the entire world. We have added a new feature to the Pre-Incident Plan report. This feature is the National Fire Academy Estimated Fire Flow. Read on to learn more about the estimated fire flow formula and how you can use it in IncidentSmart. IncidentSmart would like to wish you a happy holidays and a great new year! Take a look at the post-incident analysis report for the fifth alarm fire Dollar Store fire from Rochester, New York. In this report you will see the actions performed by the companies on scene and see diagrams of the initial state of the incident as well as how companies were setup after all units were on scene. There's always a blind spot that clouds our view during an incident mitigation. It's the unknown. As firefighters, we know every emergency is loaded with variables that will impact our decision-making. 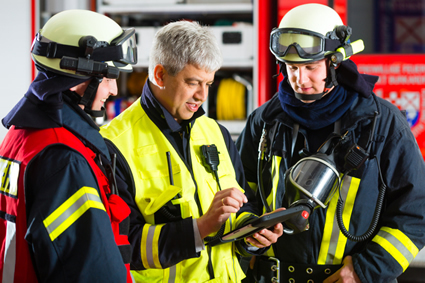 Fortunately, pre-incident planning provides information that narrows the blind spot, helping fire departments make huge strides in safety and performance. Keep up to date on new articles, and get free access to try the IncidentSmart mapping tool! Thanks for the interest! As a bonus you will get free access to try out the IncidentSmart mapping tool. Enter your name, rank, department and email below, and we will let you know when the next post comes out! Becoming a member gives you access to all of IncidentSmart's features. Our program increases safety, and helps improve your department's practices before, during and after your incidents. Copyright © IncidentSmart All Rights Reserved.